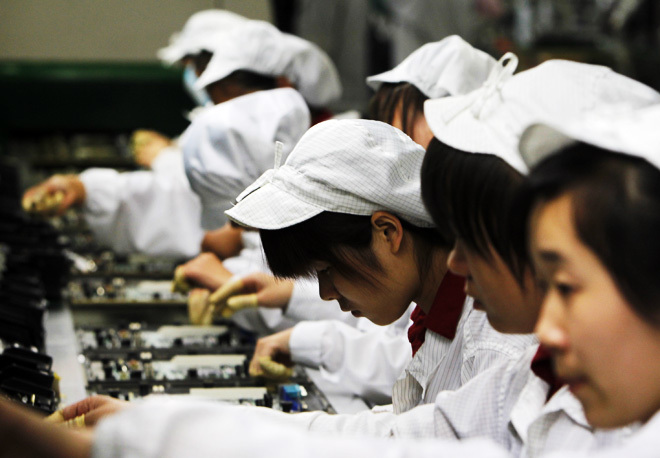 Just a couple of days ago, Apple announced that it had reached out to the Fair Labor Association, a non-profit that investigates working conditions for laborers around the world. The organization was asked to perform voluntary audits for Apple on the Foxconn plants in Chengdu and Shenzen China, where it manufactures products like the iPad. The organization has just begun its study, but Auret van Heerden, the president of the organization, has already made an initial visit to the factories and found the working conditions to be far better than most other facilities in the country, reports Reuters. He has spent just a few days touring the factories, but says that the conditions are good so far. In an interesting detail, there are around 30 staff members for the FLA performing the survey, and they’re doing so using iPads. Around 35,000 workers will be interviewed, 30 at a time, and they will enter responses to questions onto iPads. The questions will have to do with hiring, bounties for employment, contracts, living conditions and their emotional well being. Apple has come under fire in recent weeks with comments made about the conditions in the factories making trouble for the company. 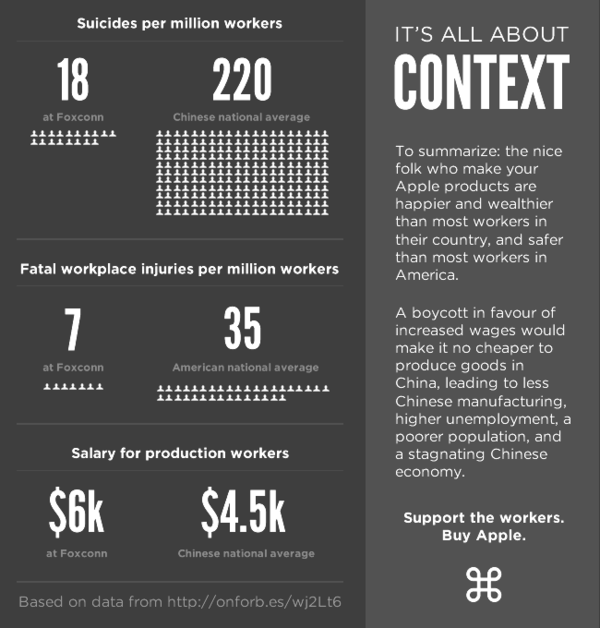 Some are suggesting that Apple could do more to make working conditions better. At a conference yesterday, Apple’s CEO Tim Cook said that “No one is doing more to improve working conditions in China than Apple,” but that the company could, and would, do more. To that end, he announced that Apple would be providing monthly reports on worker conditions on its website, likely using data from the FLA audit. Van Heerden’s remarks back up findings in the past, which suggest that when you view the data contextually, in the face of the rest of China’s manufacturing arena, Apple is actually doing very well. There is likely things that could be changed and improved for workers in China yet. The wages and working conditions are definitely lower than in many other countries. But, at least in this case, it seems as if Apple is being used as a center of debate for the issue, due to its high profile.